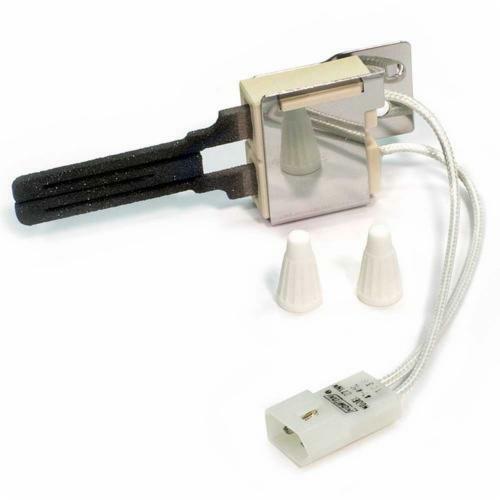 INVENSYS CONTROLS, Gas Ignition Control Cable, 41 Series, Silicon Carbide, Special Mounting Adaptor;Gasket Included, For Furnaces, Boilers, Rooftop Heaters, Infrared Burners, Unit Heaters, Water Heaters and Many Other Types of Hvac Equipment, F (Ceramic Block Type) Tip, Natural or L.P Gas, 120 V, 5-1/4 in L Robertshaw® Ignitors come in three styles to suit your application:Silicon Carbide, Silicon Nitride and Universal models. Each provides an exact OEM replacement providing a simple selection of the correct product and fast installation. They deliver dependable ignition in heating systems of every description:furnaces, boilers, rooftop heaters, infrared burners, unit heaters, water heaters and many other types of HVAC equipment.